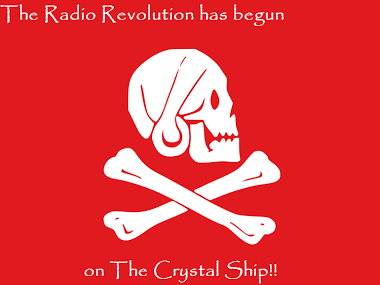 For your listening pleasure: one hour, forty two minutes of the pirate radio station, The Crystal Ship. Last night, TCS broadcast on 6,876 kHz (via the TCS Shortwave Relay Network) starting around 2:05 UTC on July 4th, 2014. TCS played a wide variety of patriotic songs honoring Independence Day. TCS’ AM signal was strong enough that it could still be easily heard over the higher-than-normal noise level. Hurricane Arthur–which was approaching the coasts of North and South Carolina at time of recording–generated static crashes and noise in excess of S4 on my receiver’s meter. Fortunately, the WinRadio Excalibur’s sync detector helped mitigate some of that noise. This entry was posted in News, Pirate Radio, Recordings, Shortwave Radio and tagged Pirate Radio, Podcast, Recordings, Shortwave Pirates, TCS, The Crystal Ship on July 4, 2014 by Thomas.